After alk used the remover it just laid there on the floor. 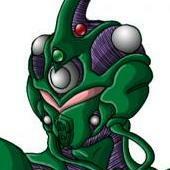 I wonder if the guyver 0 unit was just given back to uranus or is still somewhere on the island in alks possession. Maybe it will come into play later in the story. It could be a refined version of the Bio Booster armor that is designed for battle rather than bio logical enhancement. Not necessarily. At a con like this, I've seen that walking up and talking to guys the creators of the works, like Steve Wang, is pretty common. It's more of a "Show and tell" style convention as they have their works out on display. So if this guy who is "In the know" about Takaya is showcasing some of his works, he would be on the floor talking with people. 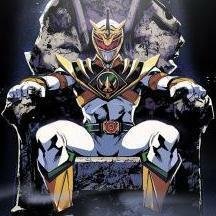 And if the focus of the conversation was turned to Guyver, I can see it coming out if they indeed knew about it. All that being said of course, it's still hearsay and not any kind of proof at all... But the situation described COULD have happened given the type of con and circumstances. You could also try mangaoh.co.jp. They are an online bookstore based in Japan and they will ship even to the UK. 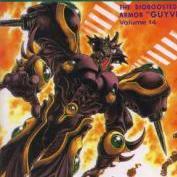 Bought from them a lot of times, all of the Guyver books I bought was bought from this site. Of course the site is in Japanese. You can send and email in English, and they will reply with and answer, but it will still be in Japanese. http://buyee.jp/item/search?query=ガイバー&amp;translationType=1&amp;page=1 This searches for guyver on yahoo auctions Japan, via buyee. You would need to sign up. The books are usually on the middle/back pages of the search. You have to wonder, given how much output Takaya gives for the manga, does his pay as Mangaka enough to cover his daily expenses? Just playing around with the idea, but perhaps he has a day job now? The Uranus undoubtedly recovered it. That was the whole point of the operation.